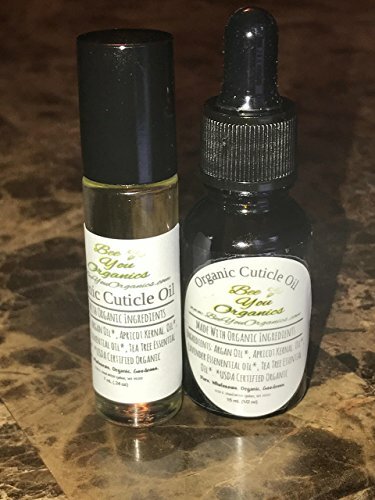 Your cuticles will stay strong, healthy and moisturized with this cuticle oil. Made with powerhouse organic Argan Oil and Apricot Kernel oil which will strengthen and nourish your nails, nail bed and cuticles. Lavender essential oil soothes and smoothes, preventing hangnails and tea tree keeps bacteria at bay! Available in a 15 ml dropper bottle or a 7 ml roller bottle. If you have any questions about this product by Bee You Organics, contact us by completing and submitting the form below. If you are looking for a specif part number, please include it with your message.